Earlier, Leanna Elston, brought you the 2013 Western Conference preview. Now William Schulz fills us in on what's been going on in the Eastern Conference and what we can expect from each team in 2013. In 2012, the Eastern Conference was expected to be far inferior to the West. The regular season told a different story (Toronto aside), though the repeating conference champion Dynamo lost their second straight MLS Cup to Los Angeles. In the offseason, almost all of the Eastern clubs have taken positive steps. The Fire had a fairly strong 2012 season, but they sputtered down the stretch losing three of their last five matches. Chicago tumbled from second place into the Eastern Conference Wild Card, where Houston dashed their postseason hopes in front of their own fans. Chicago started their offseason acquisitions by being the only club to take anyone in the first round of the re-entry draft, landing Maicon Santos formerly of D.C. United. The Fire went on to make what may turn out to be the bargain of the season, trading an international roster spot for New York’s Joel Lindpere. Jeff Larentowicz followed twelve days later, this time in exchange for a draft pick, allocation money, and a 2013 international slot. With a reinforced midfield, look for Chicago to be a bit more consistent. Chicago has put together one of the better offseasons so far, and look like real contenders for one of the Eastern playoff places. The Crew missed out on the 2012 playoffs by a single point, despite improving during the second half of the season. Head coach Robert Warzycha seems to think their even goal difference was to blame, as his defense has seen the most changes so far. Columbus acquired MLS veteran defender Tyson Wahl on a free from Colorado, and Brazilian defender Glauber from Rapid Bucharest. The black and gold have also brought in defender/midfielder Agustin Viana from the Argentinian club Bella Vista after filing a discovery claim on him. The Crew also declined the contract option of long-time goalkeeper Will Hesmer, who has since joined the LA Galaxy. I’m not completely sure Columbus has what it takes to hang with the big boys at the top of the Eastern Conference, but I don’t put a wild card playoff berth beyond them. The Crew showed they had a potent attack toward the end of 2012, and look to be attempting to build a matching defense. D.C. United made it all the way to the Eastern Conference Finals in 2012, squashing rival New York along the way. A 3-1 loss to Houston in leg one of the final would prove too much to overcome. The biggest news from D.C.’s offseason may be the sale of Andy Najar to Anderlecht of the Belgian Pro League for a reported $3 million. United also lost the services of Maicon Santos, though in a manner less financially beneficial. 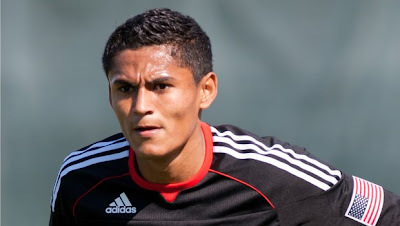 D.C. United became one of the first clubs to take advantage of the young Designated Player rule by signing Brazilian striker Rafael. Midfielder Syamsir Alam also joins United on loan this year. On a more permanent basis, John Thorrington joins the black and red from Vancouver along with Casey Townsend from Chivas USA. D.C. United was strong last season, and these tweaks only seem to improve their outlook for 2013. I’d expect to see D.C. make another deep playoff run, with a fair shot of being the first club to earn a fifth title. Houston celebrated their new stadium by making it back to the MLS Cup Final in 2012, despite squeaking into the playoffs by a single point. However, it was déjà vu all over again as the Dynamo lost a second straight Final to the LA Galaxy. The Dynamo’s marquee signing thus far has to be Jamaican international forward Omar Cummings, acquired from the Colorado Rapids in exchange for Nathan Sturgis and allocation money. Houston also sent some allocation money Portland’s way in exchange for defender Eric Brunner. Colin Clark was shown the door this offseason, finding a new home in Los Angeles. Houston seem to be going with a “If it ain’t broke, don’t fix it” mentality, and after making two consecutive MLS Cup Finals I’m not sure they can be blamed for it. Houston will be expecting to make the playoffs yet again, but one would think squeaking in last season and the addition of Champion’s League play would inspire the Dynamo to be a little more active. Montreal exceeded expectations in 2012, amassing forty two points and looking like possible playoff contenders for stretches. Montreal’s only addition so far is Italian midfielder Andrea Pisnau, on Loan from Serie A club Bolonga. The Impact also dealt Lamar Neagle back to Seattle, and Josh Gardener to Sporting KC. With the international transfer window now closed, Montreal must look within the league to bolster its ranks. As things stand, I don’t think Montreal is in position to make a playoff run. Help is needed, or the ten point deficit that kept the Impact out of the playoffs is likely to increase. Oh boy. 2012 saw the Revs post their third straight losing season, and their third straight season without a playoff berth. New England started their building process by bringing Andy Dorman back to the U.S. from English side Crystal Palace. Midfielder Kalifa Cisse followed from Bristol City not long afterward. Chad Barrett was brought in during the Re-Entry Draft along with Hunter Freeman. Centerback Jose Goncalves joins the Revs on loan this season, with an option to buy from Swiss club FC Sion. Matt Forth also joined the Revs from lower division Atlanta Silverbacks. 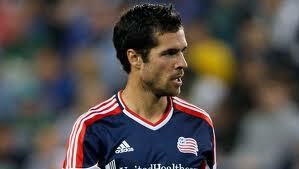 However, the biggest news from Foxborough is the departure of Benny Feilhaber. The Revolution missed out on the playoffs last year, and I can’t see this year being any different. On the other hand, this could be a step toward rebuilding a club that used to be a contender. New York ended 2012 in much the same way they ended most of their past seventeen seasons. In the playoffs, but coming away empty handed. Sebastien Le Toux has gone back to Philadelphia, and the Red Bulls acquired Fabian Espindola from RSL to take his place on the front lines. On the defensive side, Kosuke Kimura from Portland and Jamison Olave from Salt Lake City make for a daunting back line. New York have also seen fit to acquire Brazilian legend ,Juninho, from Vasco de Gama. And recently they have dealt Forward, Kenny Cooper, to FC Dallas in exchange for some allocation money. This will make for an interesting Summer as they now have the financial flexibility to go after a 3rd Designated Player. New York got a lot of work done this offseason, and there’s still a month to go. The Red Bulls mean business, and going home empty handed is unacceptable. It won’t be easy, but with these new faces might just do it. Philadelphia didn’t have a stellar 2012. They didn’t even have a good 2012. One head coach gutted the team, and the other was left to try and pick up the pieces. The Union never really hit their stride, only managing to string more than one win together three times. Philly fans can celebrate, as Sebastien Le Toux returns home from his stint in New York. 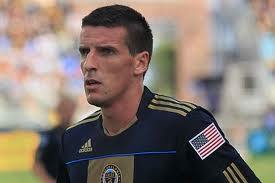 Le Toux will find himself with a new strike partner as well, as the Union grabbed Conor Casey in the Re-Entry Draft. Defender Carlos Valdes left for Colombia on loan, but veteran Jeff Parke comes in from Seattle to help fill the void. Midfielder Alex Mendoza found his way home to Pennsylvania from Mexico as well. Philadelphia have made some impressive acquisitions so far, and should be in a much better position for 2013. The playoffs won’t be easy, but the Union can at least get close. Sporting’s 2012 ended almost exactly the same way their 2011 did, at the top of the Eastern Conference only to be eliminated from the playoffs by Houston. There was a silver lining for Kansas City as they won the U.S. Open Cup, their first silverware since 2004. Sporting have made some great acquisitions, including midfielder Benny Feilhaber from New England and Designated Player Claudio Beiler from Ecuadorian club Quito. 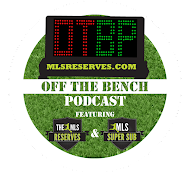 Ike Opara, Yann Songo’o, and Josh Gardener all came in to provide some depth for KC’s league-best defense. But it hasn’t been all sunshine and roses for Kansas City. Fan favorites Roger Espinoza left for Wigan Athletic after his contract expired, and Kei Kamara left on loan for Norwich City where he may end up on a permanent basis. Espinoza and Kamara left some very big shoes to fill for Sporting, but Feilhaber and Sporting’s already impressive forward depth should get them by. Expect another strong season from Kansas city, and another playoff run. I don’t need to tell you how 2012 went for Toronto, their twenty-three league points tell that story well enough. New head coach Ryan Nelson certainly has his work cut out for him. Former Sporting Kansas City defensive midfielder Julio Cesar will provide some much-needed defensive stability, as will Danny Califf. On the other side of the ball, the Reds acquired Justin Braun from Chivas USA. Joao Plata, Ty Harden, Eric Avila, Milos Kocic, Ryan Johnson, and Aaron Maund all found themselves shipped out. Goalkeeper Joe Bendik and defender Gale Agbossoumonde were brought in, providing some depth for Toronto’s league-worst defense. I don’t know how much better 2013 will be for Toronto FC, but it certainly can’t get any worse. There really is nowhere to go but up!